VEMOX™, Olympusat’s cost efficient and reliable B2B carrier-grade OTT platform, offers its audience the ability to watch Super Canal, an HD Dominican linear channel that serves the needs of all Dominicans living overseas by providing top-quality content, such as news, entertainment, sports, and much more. 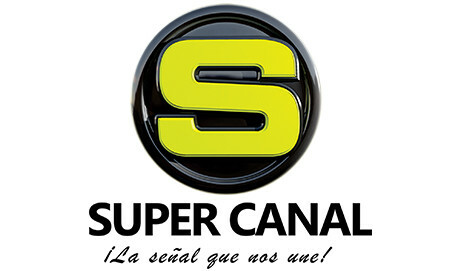 Super Canal features original productions from the Dominican Republic and other Caribbean countries, including entertaining variety shows, in-depth sports analysis, lifestyle programming, and a reliable newscast led by some of the most trusted journalists in the Dominican Republic. VEMOX™, Olympusat’s cost efficient and reliable B2B carrier-grade OTT platform, offers its audience the ability to watch the relaxing and stress-free content of NatureVision TV, a 24/7 LIVE channel that features lush video programs featuring breathtaking views of nature. Designed to provide a break from today’s hectic society, NatureVision TV helps viewers relax and relieve stress by showcasing stunning footage and crystal clear sounds of some of the most gorgeous locations around the world, including beautiful mountains, waterfalls, beaches, oceans, and forests. The network’s extraordinary scenes of nature are shot and produced by an award-winning team of cinematographers, and the original music tracks featured on every scene are performed by critically-acclaimed composers, such as Gary Malkin, Steven Halpern, Steve Cossu, and Raphael Sharpe. 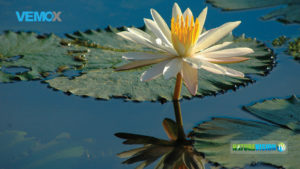 “We are thrilled that NatureVision TV is now available on VEMOX! We know that their subscribers will enjoy our all-natural relaxation channel,” stated Jon Gorchow, CEO of NatureVision TV. VEMOX is available for Amazon Fire TV and Fire TV Stick customers, and on many leading Smart TVs such as Samsung and LG. VEMOX is a trademark of Olympusat, Inc. All rights reserved. VEMOX™ Offers Exclusive Access to Canal 44 in the U.S.
VEMOX™, Olympusat’s cost efficient and reliable B2B carrier-grade OTT platform, offers its audience exclusive access to Canal 44, a 24/7 Spanish-language live channel that features a neutral and border-centric approach to the most important and relevant news from the U.S., Mexico, and around the world. VEMOX’s customers can now watch Canal’s 44 high-quality news broadcast led by some of the most trusted journalist in Mexico. The network features informative talk shows, in-depth sport analysis, and a weekly newscast showcasing the most shocking and interesting news from U.S.- Mexican borderline cities, such as Juarez, El Paso, and Las Cruces. Considered by many as one of the leading news and entertainment networks in Juarez City, Mexico, Canal 44 produces over 50% of its content, including the popular TV magazine El Cafecito de la Mañana, the exciting sports show Cancha Caliente, and the weekly news bulletin Semana en Resumen. Canal 44 is currently available in most of the continental United States – some restrictions apply. VEMOX combines technology and content, making it easier for consumers to watch the programming they love by offering an array of live channels and thousands of movies and series On Demand in Spanish. The app offers the user access to their favorite content from North, Central and South America, including highly-acclaimed movies and series, fan-favorite telenovelas, educational shows for kids, captivating documentaries, and popular music videos.